Officers are looking for witnesses to an incident of criminal damage which happened in Corby on Sunday, July 15. Sometime between 10.30pm and 11pm, a man was sitting in his black Vauxhall Astra in Holbein Walk when another man ran onto the bonnet and kicked the front windscreen, which shattered. 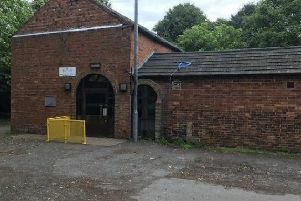 The offender is described as a 25 to 30-year-old, 5ft 6in, muscular white man with short dark hair and he wore long, dark shorts, a light-coloured T shirt and trainers. Anyone with information can contact Northamptonshire Police on 101 or Crimestoppers anonymously on 0800 555111.